Manufacturer & Supplier of Power Stand-Up Wheelchairs. Our product range also comprises of Power Wheelchairs, Hydraulic Lifts and Staircase Lifts. We are one of the leading manufacturers of Power Stand-Up Wheelchairs in Chennai, Hyderabad, Bangalore and Kerala. We have been widely appreciated in the market for offering excellent Power Stand-Up Wheelchairs to the customers. These wheelchairs can be used to provide a stand-up position to the user without any difficulty. Moreover, it helps in providing relief to the users from hip or back pain as well as allowing them to do small chores independently. We are one of the leading manufacturers of Children's Power Wheelchair in Chennai, Hyderabad,Banglore and Kerala. Children's Power Wheelchair use for motorized and manual drive .they can use power wheelchair in side and out side of home. when release lock the wheelchair change to manual wheelchair. 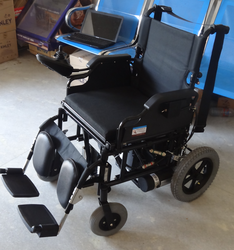 we are leading manufacturer Wheelchair in chennai and india.This wheelchair is foldable. We are one of the leading manufacturers of Seat UpDown Power Wheelchair in Chennai, Hyderabad, Banglore and Kerala, India. 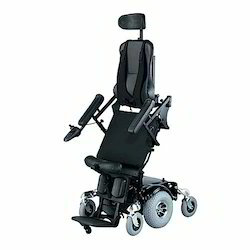 We provide Seat up down wheelchair which is useful to transfer from bed to chair, chair to car. You can elevate seat height from the range of 21 inches to rise up to 27 inches. Rising seat position can be stopped at any height range. It can withdraw up to 250 kg. 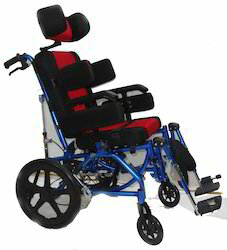 This seat up down wheelchair mechanism is available for all types of wheelchairs including foldable wheelchair. Foldable wheelchair has the removable seats. The seat can removed and the wheelchair can be folded. Both push button and toggle Switch is available for moving the seat up and down in the wheelchair.The height range varies from a minimum of 4 inches to 24 inches. Looking for Power Stand-Up Wheelchairs ?